Our booth right in the action! Inches off the dance floor right under the DJ. It seats up to 6 people and has room for up to 10 people. You and your crew will have an unforgettable experience when you are booking! *A three bottle minimum purchase is required the night of the booking. *Groups must arrive by midnight the night of reservation. 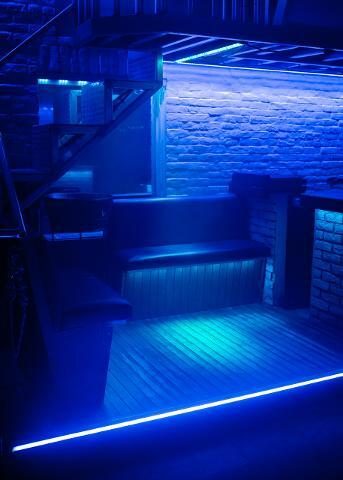 *Included in the booth is VIP Entrance (no line up or cover charge) for all members of the group. *Included with the booth are welcome shots for all member of the group.